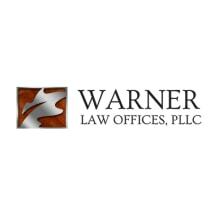 At Warner Law Offices PLLC in Charleston, West Virginia, our attorneys focus on personal injury law. We know that when people suffer an injury due to someone else's negligence or misconduct, the last thing they need is to face the legal system alone. We also know that not all personal injury law firms are created equal. That is why we are proud to offer our experience, our track record of success, our history of satisfied clients, and our reputation for honesty, integrity and understanding of our clients' needs, goals and objectives to injured clients not only in Charleston, but also throughout the state of West Virginia. In addition, the attorneys in our law office compassionately represent grieving families who have lost a loved one to wrongful death due to someone's negligence or misconduct. We also practice employment law dealing with sexual harassment, discrimination, wrongful termination and unpaid wages. At Warner Law Offices PLLC, we offer free initial consultations at our office or at our prospective clients' homes or hospital rooms. We take personal injury cases on a contingency fee basis, so these clients do not pay us unless and until we obtain favorable recoveries for them.